Here at TNN we would like to give you the Android 4.0 Ice Cream Sandwich New Features, and the reason is simple. Everyone is getting a tasty treat from Google. For the millions of Android users around the world, the arrival of Android 4.0 a.k.a. Ice Cream Sandwich, is like a chocolate-peppermint ice cream dessert during Christmas. Last Wednesday, Google captured the hearts of many after announcing the coming of Android 4.0. And while the totally revamped Android OS has just made its way to from the freezer, word about its awesome features are spreading like wildfire. So, how sweet is Android 4.0 Ice Cream Sandwich? Words may not be enough to describe Android 4.0’s incredible features. But just to tease you, we are highlighting some of its features. Yes, you are reading those two words correctly. The same advanced technology that you will usually see in most laptops today is now available in your Android smartphone. 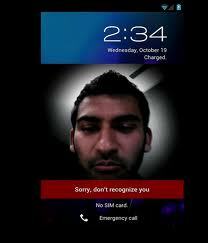 One of the best features of Android 4.0 is the all-new Face Unlock capability. Instead of using the standard passcode for user authentication, Google now allows its users to utilize this cool Face Unlock feature to access your device. The new lock screen will also enable you to swipe down the notification window to check for unread messages and manage other apps such as your camera and media player. Imagine your Android smartphone communicating with another Android device near you. How cool is that? Android Ice Cream Sandwich has another new feature called Android Beam. This cool feature will enable users to share information including contacts, links, map locations and even apps via Near-Field Technology or NFC. To utilize this amazing feature, simply hold your phone up to another device. The rest, as they say, is history. Thanks to NFC, Android 4.0 is now also supporting Wi-Fi direct which enables two nearby devices to share data without the need for an Internet connection. Although it’s not a mere equivalent of Siri in the iPhone 4S, the Voice Typing feature of Android 4.0 is now fully expanded and more improved to cater to its users. With the enhanced Voice Typing feature, users can now type words by talking to their device. But it’s definitely a giant leap for Google because the speech-to-text capability of Ice Cream Sandwich is now streaming the texts in real-time while you are talking. It’s still has a long way to go though. Using an Asian language, in particular, can be a problem with this feature. But if there are translation errors, the feature is kind enough to highlight the words in gray color for clarification. So you can just tap those gray-colored words to apply the necessary revisions. Android 4.0 has a new app specifically built for your contacts. In our own personal opinion, this new app is way too cool and should be a game changer in the war for mobile operating system supremacy. Fashionably dubbed as “People”, the stylish app for your contacts brings along with it a magazine feel, built with tiles and colors. Google also takes the Android platform a step further by allowing the People app to flash a giant picture of anyone calling you. But there’s more. The app will also allow you to send text messages to voice calls, in case you are busy, or in a meeting, or maybe you just don’t want to answer it. Now that’s interesting. Another notable feature of Android 4.0 is the overhauled camera. Yes, Google has added more features in it. Google is boasting that the new camera app will minimize shutter lag. You probably saw it at work when it was tested on the new Samsung Galaxy Nexus. It’s now faster, more responsive and guaranteed to never miss a single shot. The new camera app is also now equipped with a panorama shot functionality and a set of photo-editing features including crop, rotate and sharpen. As for the video, additional features such as continuous focus, record while zooming, capture snapshots while recording video and time lapse are also included. Ice Cream Sandwich has a lot of awesome features. But we can only wish that we can tell you everything amazing about it. That’s because sometimes, it’s best to explore and discover them yourself. But indeed there’s more. There’s the new font called Roboto, data tracking, new calendar app and Gmail interface and finally a better browser that can sync with Chrome.